Story telling is powerful. Stories help with branding, i.e., making an impression that stands out and sticks in our minds. And businesses are getting better at telling stories through content – whether through video or in text form. Stories that follow a brand’s theme can be told over and over. The ad was an in-your-face assault against conformity playing off the idea of George Orwell’s famous novel. It aired just once, and was incredibly expensive, costing nearly a million dollars at the time. Yet it made an impact. The message was clear to the world: Apple intended to take on IBM – the “Big Brother” that controlled the computer industry. Apple had cast itself as the individual against a conformist system. Nike doesn’t sell shoes. It sells attitude. And it’s another example of a brand with a story-telling approach to marketing. Nike creates community around these stories and around its continuing theme of promoting attitude. Want proof? Head on over to the company’s LiveStrong YouTube Channel and you’ll see how Nike showcases stories of people struck down by cancer. And how it builds a community of support for those who are struggling with the disease. So far, the LiveStrong Community has racked up more than 2 million views on YouTube, more than 1.5 million likes on Facebook, and more than 250,000 followers. And through the community, Nike demonstrates how a good story goes social and how social media can be used to generate support and even raise funds for those who are suffering. What can one video do? It can tell an effective story, of course. And how well can it do that? One look at The Force Campaign and you’ll be inspired to create a story for your own business. The video does a great job highlighting a single product feature – the remote start system of the 2012 Volkswagen Passat. You can’t help but laugh when the little kid dressed in the Darth Vader costume thinks his efforts using “the force” actually started the car. Aside from airing during the 2011 Super Bowl, the advertisement has gotten more than 58 million views on YouTube to date. Today, Volkswagen’s website features a “Story Board” — a blog of sorts with narratives contributed by both the company and customers. In this way, Volkswagen has invited car owners to contribute to the story as well. Threadless.com: What Do Designers Think? Threadless is a community built around designer, designers who submit their creations to Threadless to be printed on household items, clothing and other goods. It’s literally a brand built on stories. Not stories of beating the bad guys, building unity or attaining some great achievement, but real stories from designers who share details about their lives, work, inspiration, and more. The stories connect with customers because of the “sneak peak” behind how the company works. Videos embellish the true story of Threadless and how it works hard to produce quality products for its customers. Threadless recently launched a series of mini-documentaries, artist interviews which highlight individuals and the stories they have to tell. The video itself tells the company’s story not so much to convince but to share. It takes us back to the company’s origins in 1932, and gives us a glimpse of founder Ole Kirk Christiansen, and the principles and values he brought to the business he built. It also reveals the company’s commitment to children’s entertainment and education. Brand stories are not always narrated and showcased through video. The written word still works well for some brands. Across its global sites, HSBC curates and publishes content on financial markets, financial news, global business expansion, and much more. For some select markets, HSBC still publishes paper-based content such as booklets for its elite banking customers. 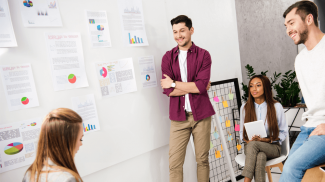 Another great example of how content marketing is utilized for brand image is American Express Open Forum, which focuses exclusively on entrepreneurship and technology. 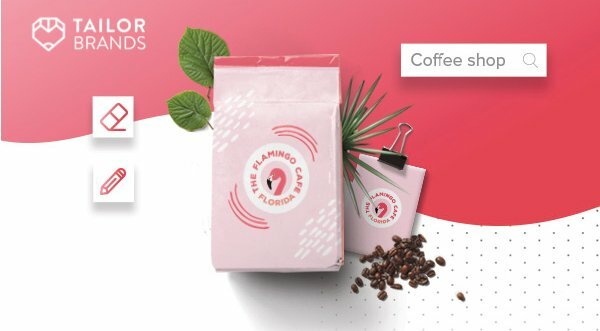 It leverages the power of community and the power of user-generated content to create a compelling brand story for its own lineup of products. While we only mentioned large businesses and popular brands and their story telling successes here, the message is out. 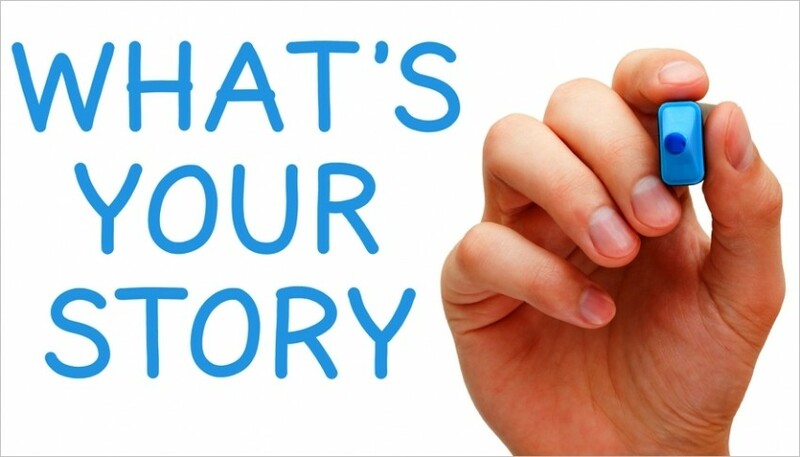 Anyone with a business can create a brand and build it using storytelling. For some inspiration, you might want to check out these 50 Brands with Amazing Brand Stories. 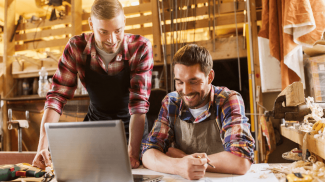 If you think there are no stories to tell in B2B, you might want to check out Eloqua’s 5 B2B Brands That “Get” Storytelling. 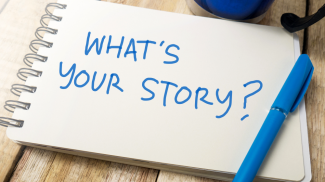 As a small business, do you leverage the power of telling stories? Do stories create impact and value for brands? Whenever I talk to clients, I always tell them how I came into the industry through a college course, subsequent internship, and lots of hands-on learning. It helps them relate to me as an individual who has put in the time and effort to succeed, not someone who was gifted an advantage or “knew the right people”. I guess that is another great way of using storytelling to establish brand. You’re right! Thanks for reading. I think that we are living in an era where businesses need to employ personal strategies in their marketing. With YouTube, Facebook and Twitter, people are more keen to follow ‘real’ people. These are people with similar experiences that can inspire them. Businesses should do the same. They should include their customers in their story. Its great to see the storytelling message get into the marketing mainstream. People are wired to remember patterns. And we are built to link those patterns with faces to create the strongest memories. Awesome stuff when humanity and intellect meet. Its a win-win. Well written article. I guess story telling certainly makes customers want to know more about certain brands that employ them. Kids love to hear a story, and so do adults. This is a smart strategy to tug at the emotional triggers of potential clients. Five great examples! I particularly love the Apple one. They have a great history of storytelling and positioning through their ads. The ‘I’m a PC’ series is a newer version of the ‘Big Brother’ ad that shows the shift in competition from IBM to Microsoft. Perhaps in the future we’ll see an Apple Versus Google ad?